Updates to A. Douglas' profile since your last visit are highlighted in yellow. What have I been up to since 1969? In 8000 words or less? Are you kidding? A. Douglas Fenske added a comment on James Jones' Profile. A. Douglas Fenske has a birthday today. A. Douglas Fenske added a comment on his Profile. A. Douglas Fenske posted a message. Gary ! Happy bday! Shoot me an email and let's catch up! A. Douglas Fenske updated his profile. View. 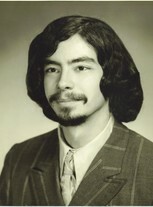 A. Douglas Fenske changed his "Then" picture. A. Douglas Fenske changed his profile picture. A. Douglas Fenske changed his "Now" picture. A. Douglas Fenske posted a message. New comment added. Wow !! Quite a life you have had !!! I am living in the Netherlands now so if your travels bring you this way, be sure to let me know and stop in !!! Happy Birthday and mmany more ! !